We also offer highly customizable Blackinton medals available in Hi-Glo gold and rhodium. Get some ideas for your organization's award plan from our suggested commendation guide. Support your brothers and sisters in the police force with this custom commbar. We are proud to sell Blackinton's Recognition series Commendation bars. 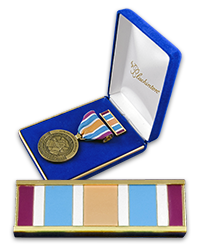 These quality metallic commendation bars are made with durable, richly colored enamel backgrounds. Used in conjunction with slide holders (sold separately) these bars will command everyone's attention and display the wearer's dedication and service to their organization at a glance. The Slide Bar System allows perfectly aligned award bars with a minimal amount of clutch backs to be displayed on uniforms for law enforcement, firefighters, EMS and military. 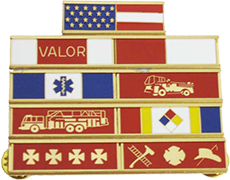 The Humanitarian Service Award medal is issued by MABAS-ILLINOIS and as such this special commendation bar should only be ordered by those receiving this honor. If you are looking for a framework for your organization's award plan, please check out our Commendation Plan. This plan outlines many ways to celebrate achievements within your department, specialized for the firefighters. We are working to develop other commendation plans, and will offer them to you as soon as possible. When designing a custom bar or medal, use our "purpose" section to keep a record of the reason for presenting your award of choice. 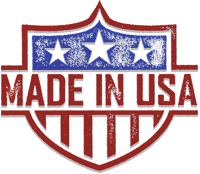 Check out the original Eagle Engraving website! The home of firefighter awards, badges, accountability systems, and more! Our quality insignia and tie bars let you show the world you take pride in your department. With the range of styles and colors offered in our Custom Collar Creator, designing high-quality, easily readable insignias is easier than ever. Why present Medals & Commendation Bars? In the service of any organization, people accomplish great deeds, often going above and beyond the call of duty. When an individual puts their heart and soul into their job, nothing feels better than to be recognized. These products are designed to memorialize their efforts and make them stand out just like they deserve. We strive to provide a distinguished way to recognize the courage, heroism, pride and dedication to serve and inspire ongoing excellence. Our billing process involves billing departments directly. For new departments looking to be invoiced, you can choose "Invoice, set up new account" while selecting a payment option. We will call you within a couple of days to discuss terms with you. For individuals ordering, we now offer automatic credit card processing. Rush orders will only be accepted under special circumstances. If you have a rush order, please call us. Do you have a very large order? We offer FREE shipping on orders of $750 or more!